The Lyng housing development is providing West Bromwich with affordable, high quality and sustainable housing. 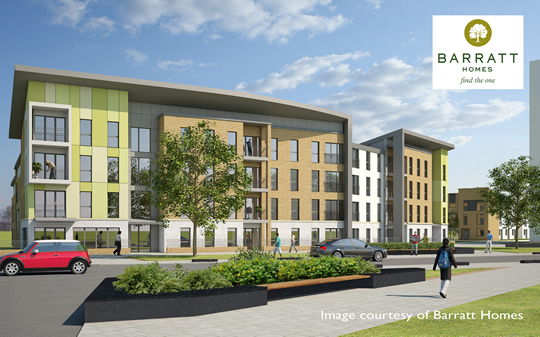 When completed, the scheme will deliver a total of 450 new homes to meet local demand. The Lyng estate sits next to West Bromwich town centre, a short walk from shops and public transport links. The development, which the council is delivering in partnership with Barratt Homes and the Lyng Community Association, will significantly improve housing in West Bromwich and help improve the quality of life for current and future residents. The first phase of 86 homes was built for the Lyng Community Association and the current work on the development includes 114 affordable and 250 private sale homes. 104 of the affordable homes and 72 of the private sale homes have now been built with property sales on the Lyng Estate being one of Barratt's top performing sites in the midlands. In 2013 The Lyng scooped a MADE20 Award, which celebrates the 20 best development projects, built in the last five years, which demonstrate good design and forward-thinking ideas. create employment, training and enterprise opportunities. We will keep you up to date with the progress of the Lyng housing development by regulary uploading photographs as it begins to take shape.